Natasha is a Research Fellow at the Centre for Public Christianity. She has a PhD in English Literature from the University of Cambridge. There is a legend told about Alexander the Great: in the palace of the kings at Gordium, there was a knot. It was, in fact, several knots, tangled up in such a way that it was impossible to see how they were tied. An oracle had declared that the man who could unravel the Gordian knot was destined to become ruler of all Asia. Alexander was keen. He struggled mightily to untie the knot, and failed. Instead, he drew his sword and sliced through it at a single stroke. Today, when we talk today about somebody “cutting the Gordian knot,” we mean it in one of two ways. We may use it as a term of praise: a bold, creative individual who thinks outside the box, finds a loophole, breaks a stalemate. Or it’s an accusation: to cut the Gordian knot is to bypass the intricacies of a situation by means of a single, blanket solution ― by brute force ― essentially, by cheating. This is the perennial temptation of the revolutionary: the intoxicating sense that at one fell swoop, we can usher in a brave new world. Everyday, unglamorous politics deals in partial ends and incremental change. There’s something about all-out revolution ― the clean sweep, the drained swamp ― that’s much more galvanising than labour reform, or the negotiation of debt ceilings: cutting the Gordian knot with a guillotine. Build the wall. Stop the boats. Take back control. 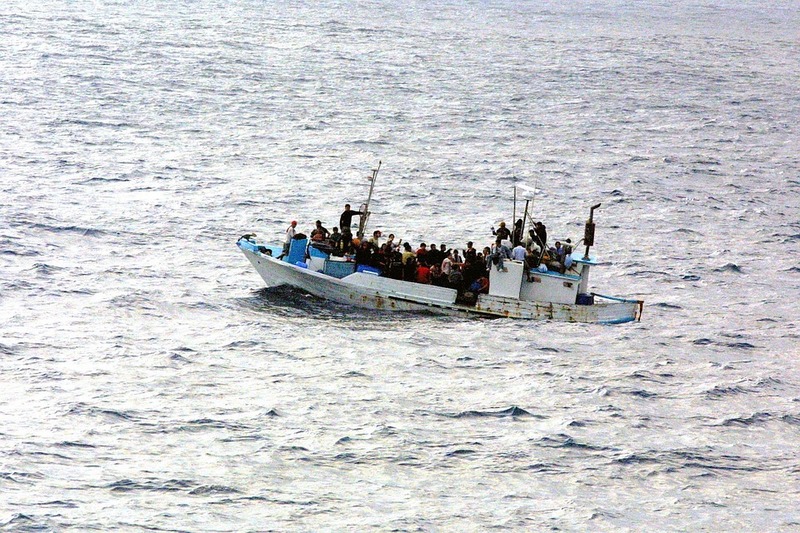 Whether it’s Trump or Brexit, or Australia’s notoriously harsh treatment of asylum seekers arriving by boat, much of the energy in global politics over the last few years has run in the direction of cutting rather than unravelling. No wonder that policy-makers, trailing in the wake of the slogans and upsets, expected to implement cinchy solutions in a fiendishly complex world, come across as bumbling and ineffective. No wonder the dragging drama of Theresa May doing daily battle with EU bureaucrats or her own party; no wonder the Aussie penchant for changing Prime Ministers more or less as you swap out your winter for your summer wardrobe. The progressive left, of course, can be every bit as resistant to compromise and nuance as the populist right. Either you’re with us or you’re against humanity; expressions of doubt or bipartisanship will not be tolerated. I even wonder if the sustained appetite for superhero movies signals something ― whether as symptom or as contributing factor, or both ― about our collective craving for a leader who can overleap our limitations in a single bound. In Tony Stark, or Wonder Woman, or Thor ― even, in an unhinged way, in Deadpool ― we see our desire for the severing, once and for all, of the Gordian knot of social problems made concrete, personified and sheathed in Spandex (or these days, more likely body armour). Behold our disillusionment with compromise, writ large and slick. What we want is for someone to simply transcend the muck of ordinary weakness and diplomacy, to do something drastic and decisive, something that may or may not include the levelling of whole city blocks. We want someone to save us, to defeat the bad guy, to triumph spectacularly in extra time. In a different article, this would be the “enter Trump” moment. But this is an article, not about Donald Trump ― it’s about Christmas. Because this seems as opportune a moment as any, in international politics and in the calendar year, to ponder the revolutionary impulse of the Christmas story. It’s usually muted within the shiny pageantry of the season; but the original account pulses with subversive energy. And no figure is more revolutionary than Mary, the scandalously pregnant teenager thrust into the heart of events that would become one of the gravitational centres of world history. What’s more, we’re told that she knows it. 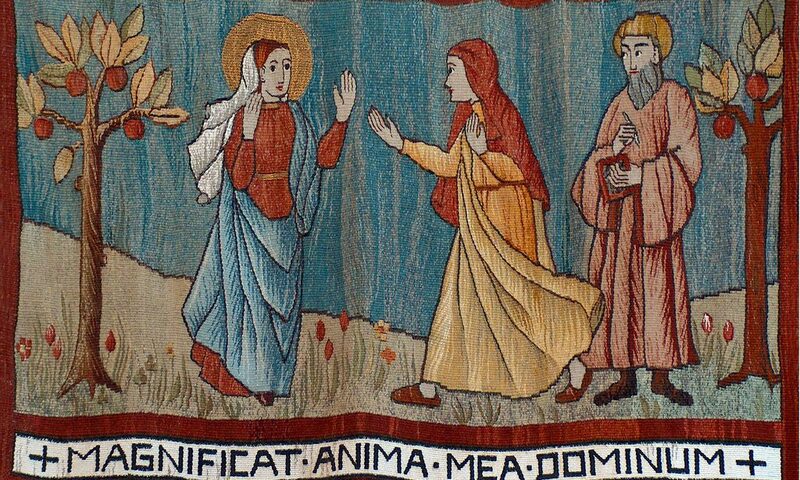 On the face of it, it’s not at all obvious why Mary reacts to her situation this way. It’s not at all obvious how the complete upending of power structures is related to what God has done thus far in the story, which is to pull off one or two impossible pregnancies in a backwater town out on the fringes of the Roman Empire. What rulers have been brought down from their thrones? Which hungry people have been fed? But if the personal is political, as they say, that has maybe never been truer for anyone than it is here for Mary. The incarnation ― the enfleshment of God ― represents the rejection of the logic of power altogether: the all-mighty embracing powerlessness. She is in the very early days of her pregnancy. The mummy blogs, which delight in comparisons between growing humans and produce of various kinds (“your baby is now as long as a stalk of Swiss chard”), might tell her at this point: “Your baby is about the size of a poppy seed.” The revolution that Mary sees and rejoices in is all there in embryo ― literally. It all centres on this one tiny point of being: the king, and the kingdom, shrunk to the size of a poppy seed. Strip the story of its sugar-coating, and it’s hard to imagine something more calculated to raise conservative hackles than a pregnant teen singing about revolution. But the Gospels make clear that God’s thoughts of revolution are not our thoughts of revolution. This inversion of power structures is not a case of the humble being lifted up, and then becoming the oppressors. It is not, in other words, a human revolution. The incarnation ― the enfleshment of God ― represents the rejection of the logic of power altogether: the all-mighty embracing powerlessness. If you can imagine Donald Trump (sorry) leaving the White House, his security detail and his American citizenship behind, shouldering a pack, and joining the migrant caravan; if you can imagine Scott Morrison resigning the leadership of the Liberal Party and submitting himself to detention on Nauru; then, maybe then, you can begin to begin to approach the shock of Mary’s revolution. A few chapters and thirty years on from this part of the story, the grown Jesus, in one of the stranger episodes told of him, spends forty days in the wilderness being tempted by the devil. What he’s offered is unlimited political power: “I will give you all the kingdoms of the world.” King of Kings he may be, but Jesus decisively rejects that road to revolution. He chooses the painful, slow, counterintuitive road instead. He chooses the cross. Jesus is not a superhero. The insight of the incarnation is that enduring change cannot be imposed from the outside. The revolution that Christmas begins is one of long-haul transformation, damaged individual by damaged individual, toxic community by toxic community. It promises the unravelling of the impossible Gordian knot that is our world and our selves. The insight of the incarnation is that enduring change cannot be imposed from the outside. The growth of the global Christian church begins with these two utterly unknown women and their poppy-seed and cabbage-sized babies respectively, marvelling at the mercy of their God. It is the ultimate grassroots revolution. Contemporary society is (like always) thick with Gordian knots; contemporary politics is full of people eager to slice through them. Christians as much as anyone ― their record all too often marred by coercion and power-mongering ― could use the reminder, at Christmas, that there are no true shortcuts to justice or peace. But there is most certainly hope. Natasha Moore is a Research Fellow with the Centre for Public Christianity. She has a PhD in English from the University of Cambridge, and is the author of Victorian Poetry and Modern Life: The Unpoetical Age. Main image by Edith OSB, used under a CC BY-NC-ND 2.0 Licence.